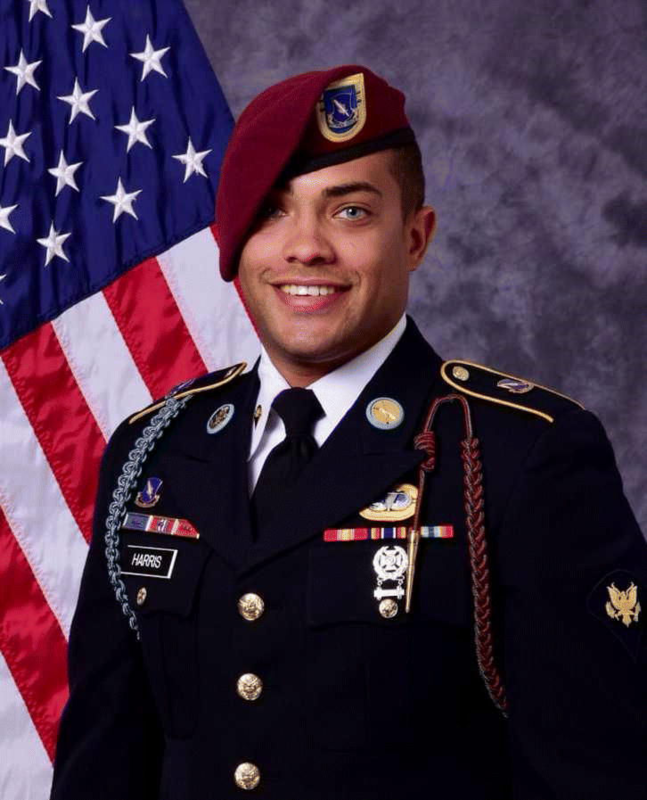 Christopher “Chris” Michael Harris, 25, of Jackson Springs, died in Afghanistan, Wednesday, Aug. 2, 2017, when his patrol vehicle was struck by a vehicle-borne improvised explosive device. He was born Nov. 3, 1991, in St. Petersburg, Fla. He attended Grace Christian School in Sanford, where he was a member of the soccer and basketball team, and graduated in 2010. Chris was an avid fisherman and boater who loved spending time on the water and at the beach. He was an amazing husband, son and paratrooper. In October 2013, he joined the Army and as an infantryman was assigned to 2nd Battalion, 504th Parachute Infantry Regiment, 1st Brigade Combat Team, and the 82nd Airborne Division. Chris loved his family and his country with all his heart and was proud to serve as a paratrooper in the “Devil” Brigade. He was awarded the Bronze Star (Valor), Purple Heart, Army Achievement Medal, National Defense Service Medal, Afghanistan Campaign Medal, Global War on Terrorism Service Medal, Army Service Ribbon, Combat Infantryman Badge and Parachutist Badge. Chris is survived by his wife, Brittany Harris; parents, Dennis and Sue Kolean, of Jackson Springs; uncles, Mike Harris and Tony Parish, of Pensacola, Fla.; his Uncle Bruce and Aunt Cheryl and their children, Ryan and Kerri, of St. Petersburg, Fla.